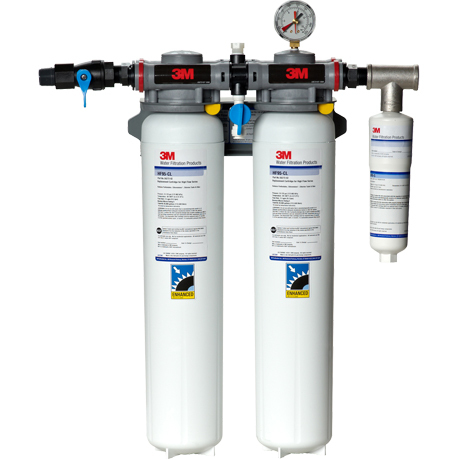 3M HF295-CL Commercial Water Filter System - $626.13! The genuine OEM 3M HF295-CL High Flow Series Commerical Cold Beverage Water Filter System uses two HF95-CL cartridges to reduce chloramine, sediment, and chlorine taste & odor for better tasting beverages and longer equipment life. HF295-CL is NSF Standard 42 certified and is composed of FDA CFR-21 Compliant Materials.